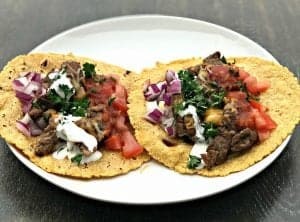 This Butcher Box Review and Tips for Organic Meat Delivery will provide you all of the information related to what comes in a Butcher Box, plans and prices with how much a box costs, where the meat comes from and provides you recipes to pair with your grass-fed meat subscription. 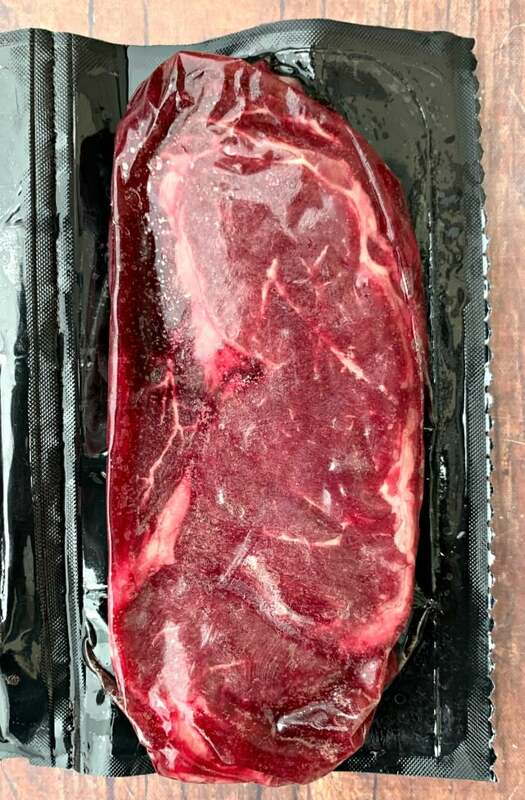 I received the products mentioned in this post for free from ButcherBox. This post also contains affiliate links and I will be compensated if you make a purchase after clicking on my links. What’s all the fuss about with eating grass-fed, organic beef? Lately, you may have heard a lot about how grass-fed beef is healthier and that we should be eating free-range organic chicken. But, what does this all mean? Grass-feed, organic beef is meat that comes from cows that have grazed only on grass for their entire lives. 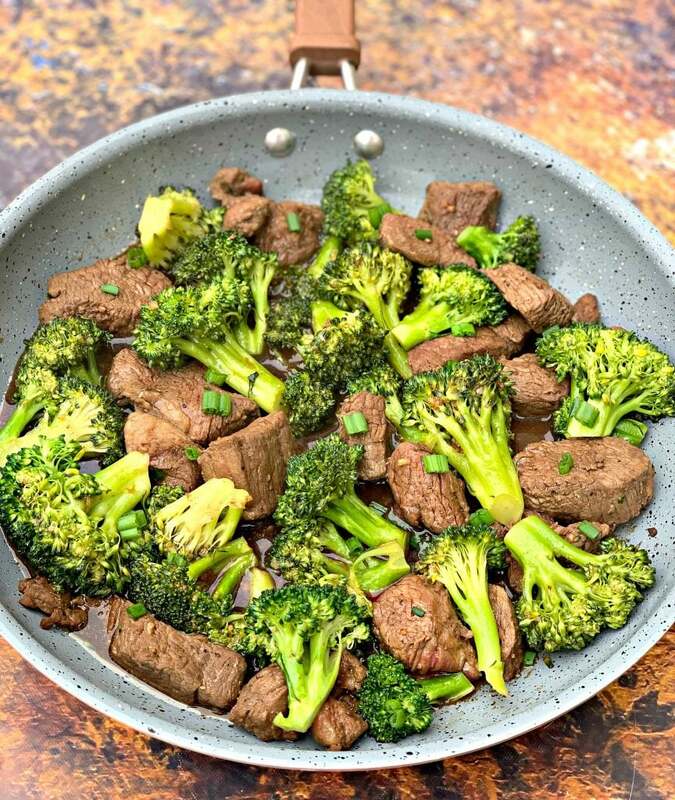 According to Nutritious Life, the meat from cows that only eat grass contains two to three times the amount of conjugated linoleic acids (CLAs) compared to grain-finished beef. CLAs are healthy fats that have been proven to reduce cancer risk, reduce cardiovascular disease risk, and improve cholesterol levels. If you’ve ever heard the term “cage-free” that may be helpful in understanding free-range, organic chicken. Free-range means the chicken had access to outdoors and did not spend its life inside a cage. Organic chicken has been fed an organic feed that is free of pesticides and chemicals. And then we have heritage breed pork. Pigs are not only-grass fed. They have to eat grains to survive. To be considered a heritage breed, the animal has to be raised on an organic and sustainable farm. These are REALLY hard to come by. 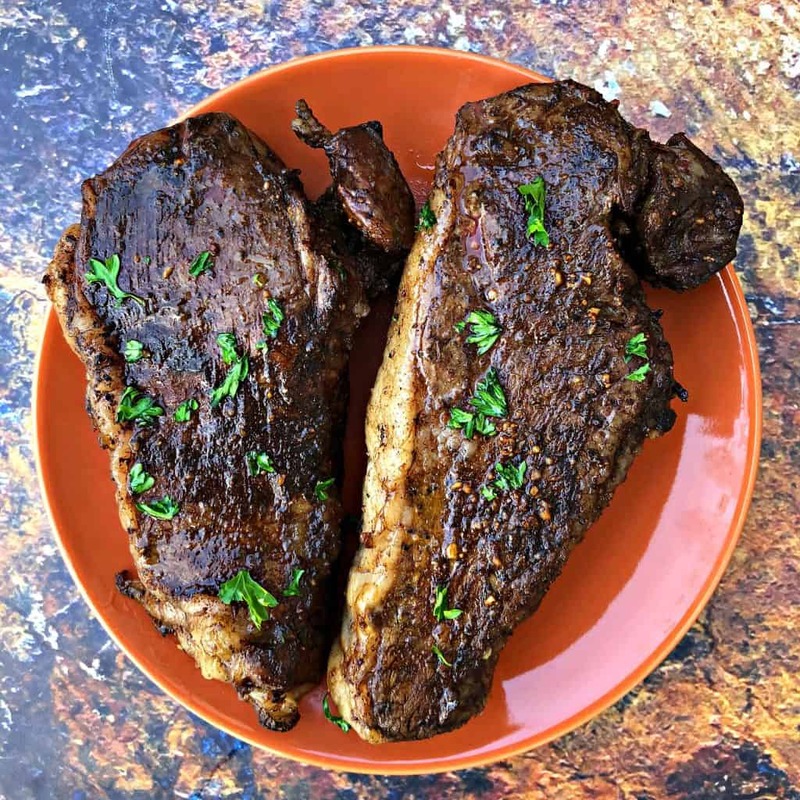 Where can you find these types of meats? Years ago, I feel like Whole Foods was our only option. Even with their merger with Amazon, I still find Whole Foods to be really pricey. Sprouts is also another option that is available in most large cities. Sprouts is usually a little less expensive than Whole Foods. Trader Joe’s is my favorite local store for organic meats. Their price points are the lowest of the two I mentioned above. Butcher Box is an online meat delivery service. All meat is premium and is 1) 100% Grass-fed & Grass-finished Beef, 2) Heritage Breed Pork, or 3) Free-range Organic Chicken. They have recently added on wild-caught Alaskan salmon as well. You choose the monthly box you would like to receive. Aside from a customized box you can select a curated box with a 1) mixed box (includes beef, chicken, and pork), 2) beef and pork, 3) beef and chicken, 4) all beef. Your selection is delivered to your doorstep! I chose the chicken and beef mix. It also came with free bacon for life. 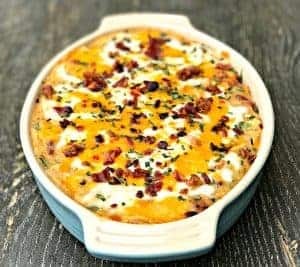 Bacon is really the only pork we eat a lot of in my home. Butcher Box bacon is uncured and nitrate-free. How Much is Butcher Box? How Much Does Butcher Box Cost? 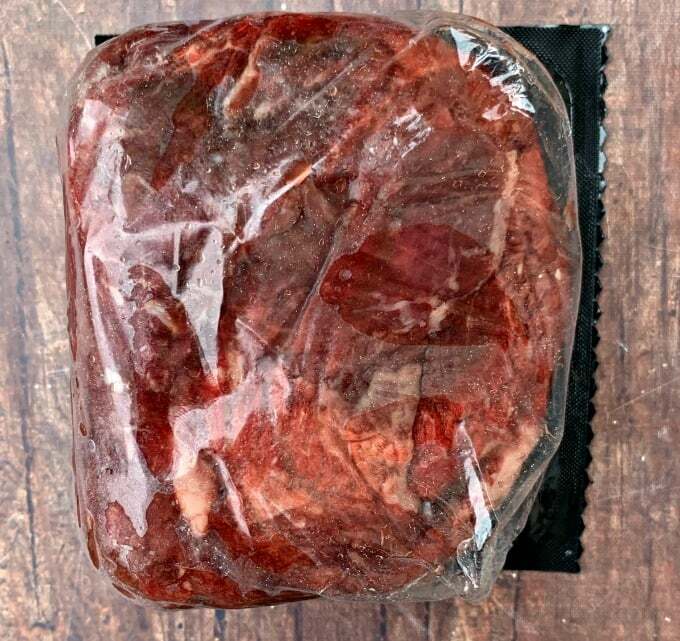 How Expensive is Butcher Box? You can select to receive 24 meals (every 30 days or every 60 days) for $129. That equates to $5.38 for each meal. Or if you need more meat, you can select 48 meals (every 30 days or every 60 days) for $238. That equates to $4.96 for each meal. The customized boxes start at $149 per box. 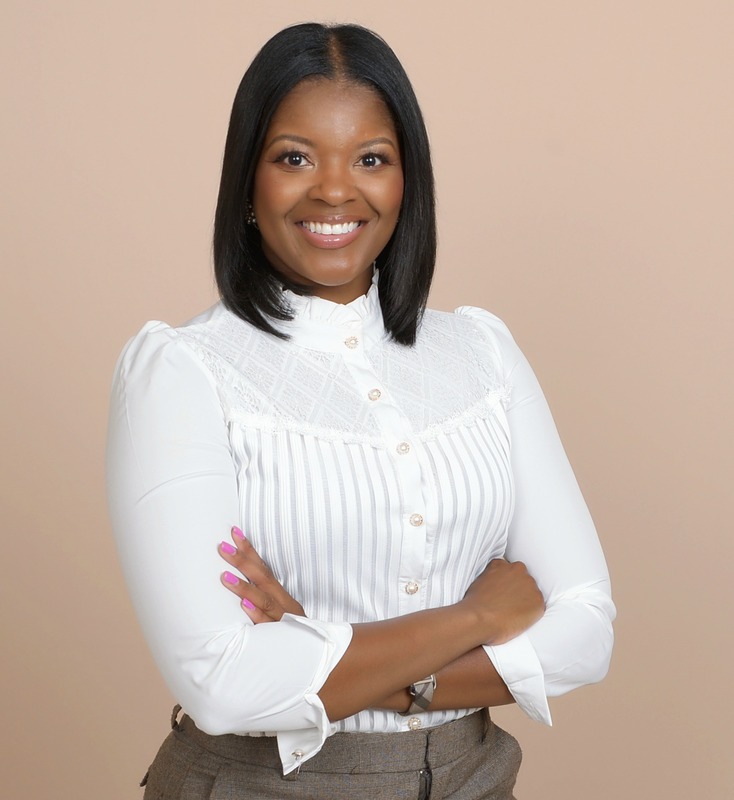 The method you choose I think should be based on your family size and needs. 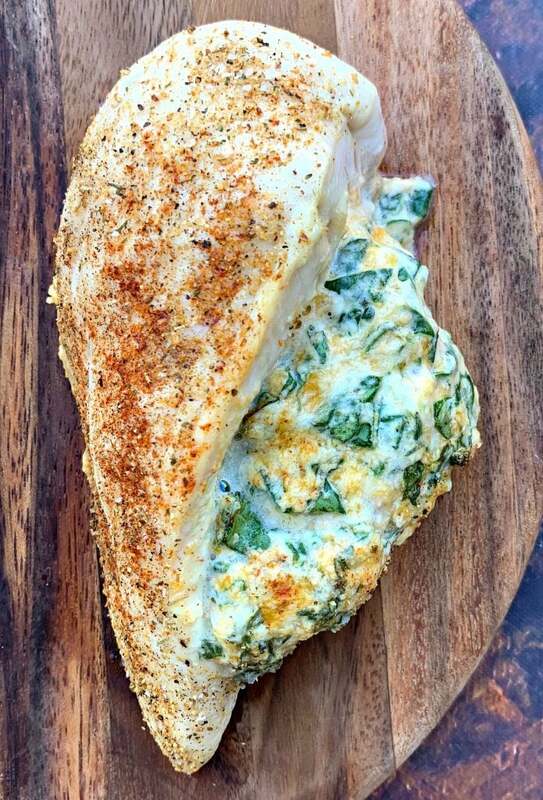 I am typically cooking for just 1-2 people. So the 60-day plan works really well for me. 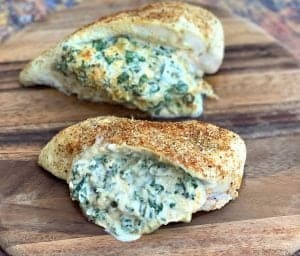 Butcher Box chicken breasts work wonderfully for Spinach and Cream Cheese Stuffed Chicken. 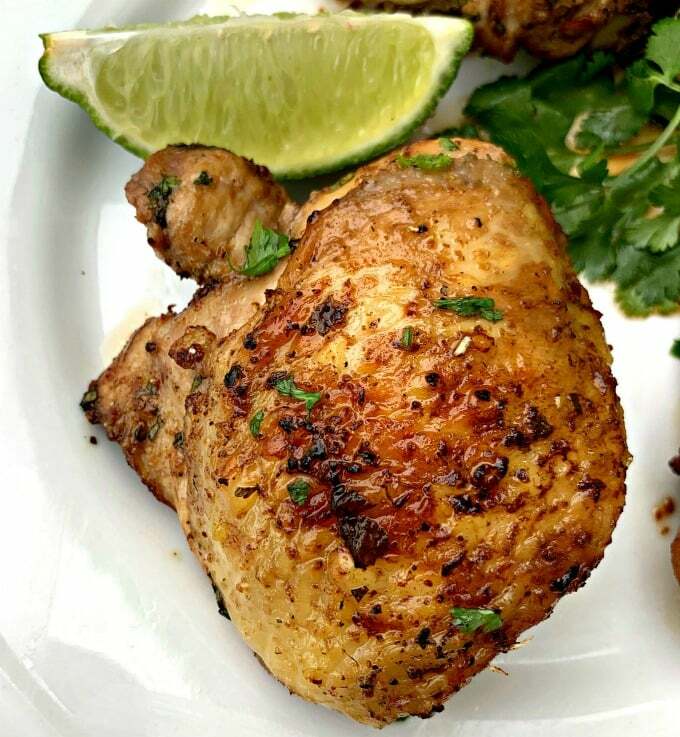 Cilantro Lime Chicken Thighs are also a hit! What Comes in a Butcher Box? How Much Meat is in a Butcher Box? You can select a classic box with 9-14 pounds of meat. Or you can select a big box with 18-26 pounds of meat. You can choose from Butcher Box’s curated boxes or you can customize your own. 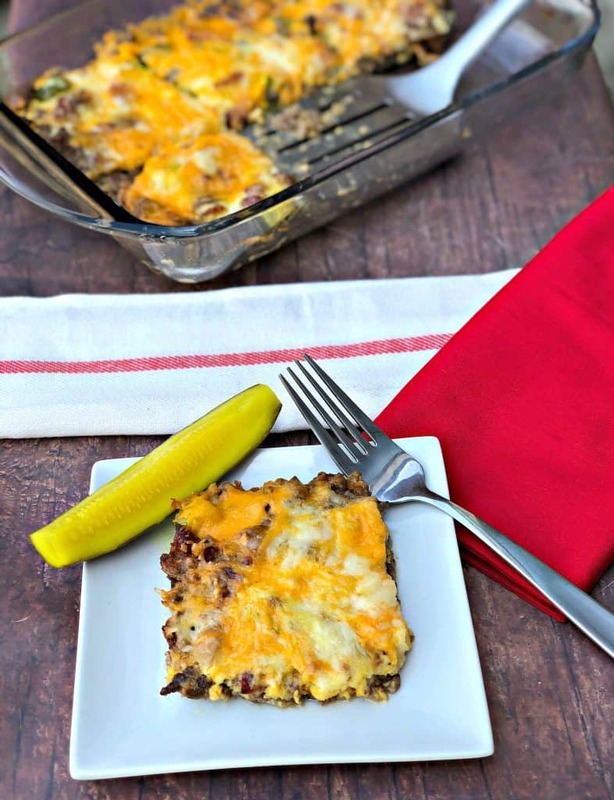 My Bacon Cheeseburger Casserole is a family favorite that even kids love. 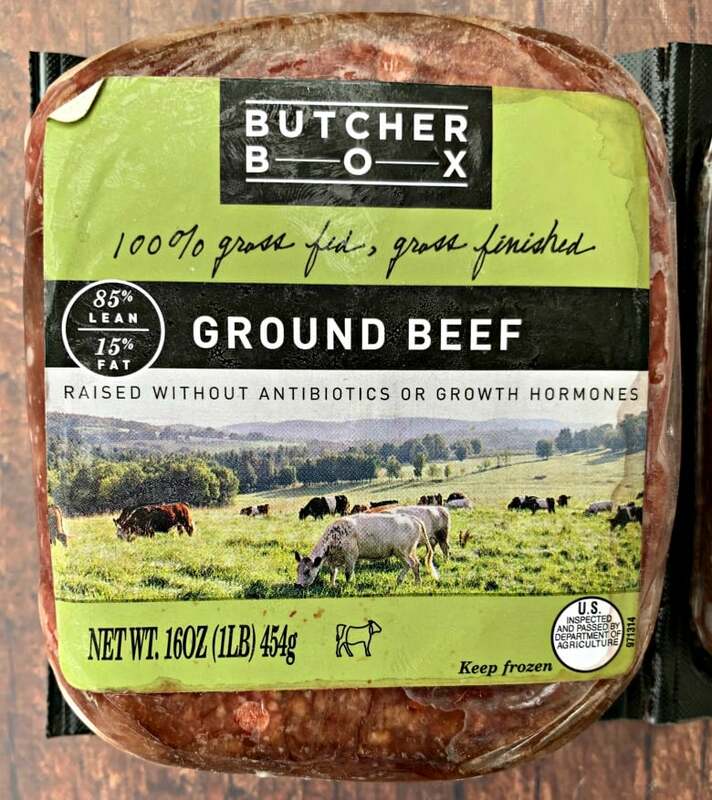 Where Does Butcher Box Meat Come From? The meat comes from ranchers. 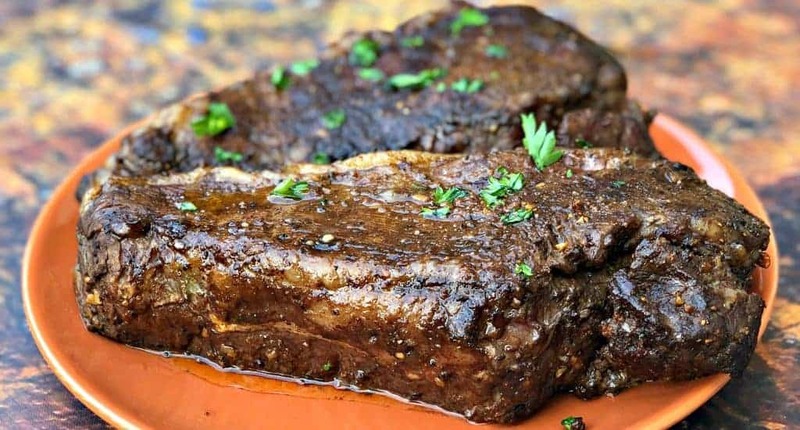 The grass-fed beef is from the US and Australia. 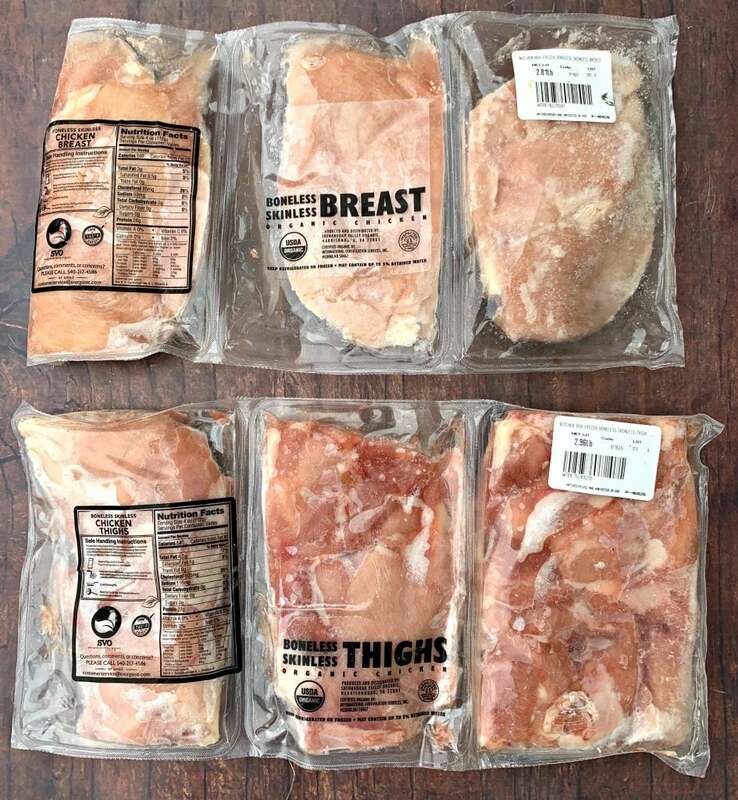 Pork and chicken come from the US and Canada. The wild-caught Alaskan salmon is from the US. You can read more about sourcing specifics here. You don’t have to leave your house and search for organic meat. I love convenience. I’m the person who would rather take advantage of free Amazon Prime shipping and order a product right on my phone than to venture into Target. It’s just easier when products come to you. If you live in an area with limited organic meat selection, Butcher Box is perfect. Especially, if you live in an area where all of the options are expensive. As I mentioned before, the cheapest option for organic meats that I have personally found was at Trader Joe’s. We got Trader Joe’s here in Kansas City 5-6 years ago. They aren’t available in every area. Additionally, Trader Joe’s does not offer all of the cuts of meat offered by Butcher Box. It works well for a family of any size. You have direct control of how often you would like to receive your selections. Butcher Box meat tastes amazing! I taste a noticeable difference in the taste and quality of the bacon, steaks, and ground beef. If you slack on your cooking you may not use up all of the meat. This is a disadvantage whether you use Butcher Box or not. 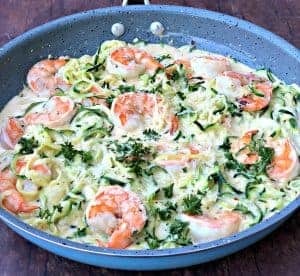 Focus on simple and easy recipes like the ones I linked above! Customized boxes are more expensive than the curated box. I don’t suggest ordering a custom box unless you really need it and can afford it. You still have a lot of control with the curated boxes. How Long Can a Butcher Box Sit? Did the box arrive with dry ice? If yes, place in the freezer for future use. If no, is the meat still frozen? Place in the freezer for future use. If the meat is not frozen, is the meat cold when you touch it and the weather is less than 40 degrees outside? If yes, freeze for future use. If no, contact customer service to arrange another order. Can You Cancel Butcher Box? You can pause for up to 6 months or cancel at any time before your next order is billed. There are no hidden fees or penalties. Simply visit your account page. 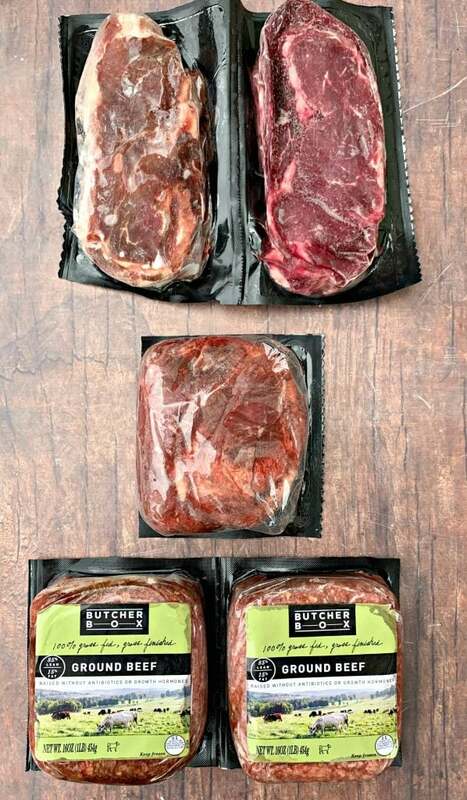 Offers featured meat packs that work differently than Butcher Box’s curated boxes. Allows for the purchase of single meat products priced at a premium. Should You Try Butcher Box? Definitely! You can have the confidence in knowing that you are making a healthy choice in the meats you bring into your home. In all of the documentaries and research I have done over the years about organic food, meat is always deemed the most important. So much research supports budgeting your money toward organic and grass-fed, free-range meats if you can’t afford to purchase organic everything, including fruits and vegetables. If you want to test out Butcher Box, they are offering 2 pounds of salmon and 2 filet mignons FREE just for trying it out. Click here to take advantage of this amazing deal!